If pigs were given snouts to root, why would the industrial farming industry put them on concrete floors or place rings in their noses? 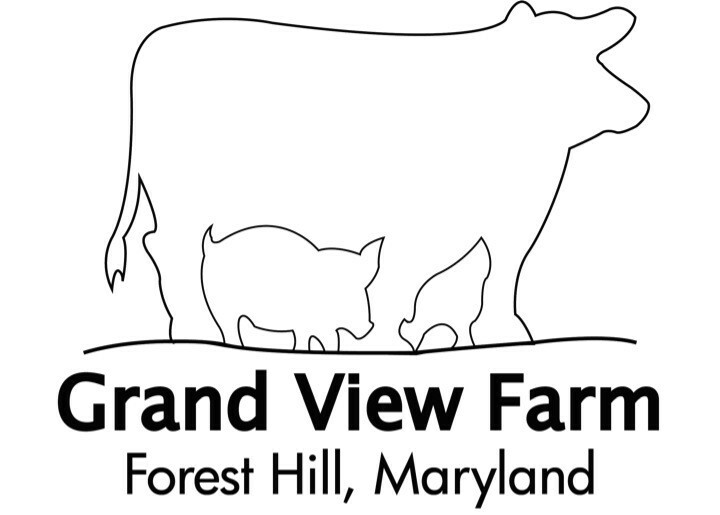 Want to know a dirty secret about how we raise clean pork at GVF? 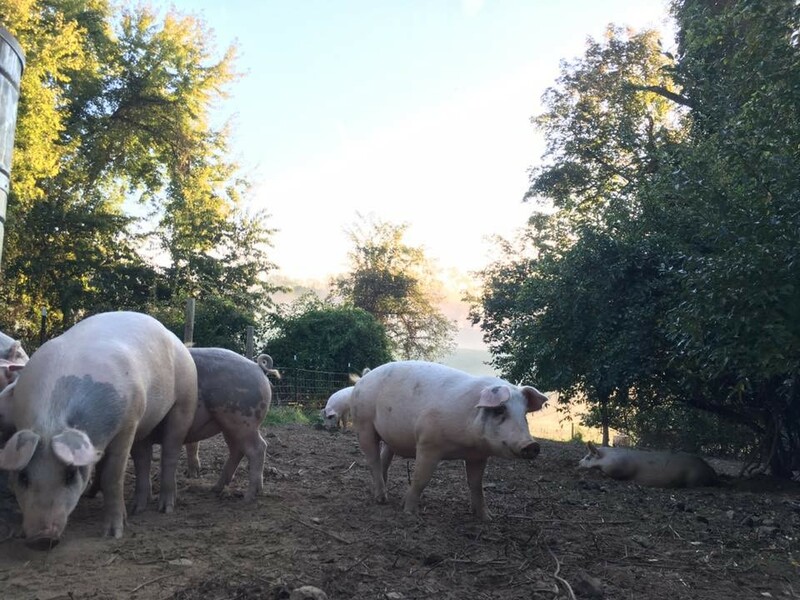 ... We let the pigs get dirty! 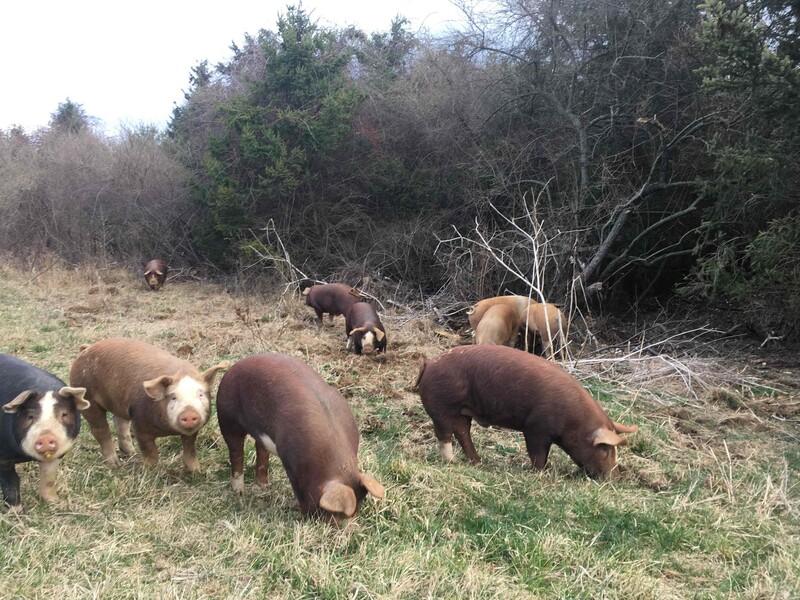 There are so many advantages to having pigs on pasture, besides the obvious fact that it is their natural habitat. 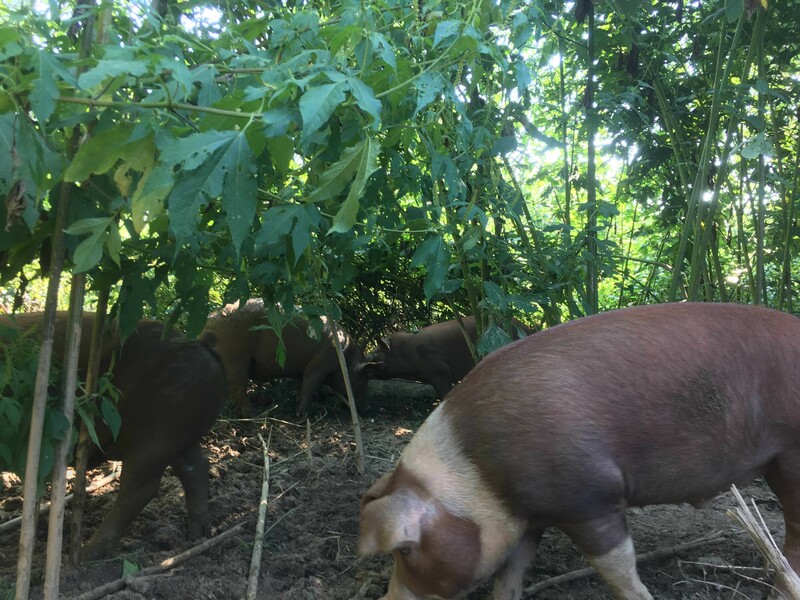 All of the microorganisms in the dirt, all of the nutrients and minerals from the roots and legumes, and all of the fresh air and sunlight combine to provide a respectable life for this wonderful animal as well as the most nutrient dense pork you will ever eat.